Vehicle accidents can happen without warning, and the impacts of some of these accidents can be extremely devastating. Negligent driving can leave other people injured, and drivers who cause a wreck and then flee the scene are forging their responsibility to the victims as well as engaging in criminal activity They could be victims behind to suffer and not receive the medical attention required. On May 23, the Worcester Police Department received a call about a hit-and-run driver. Initial reports indicated that the accident involved two vehicles, one of which fled the scene shortly afterwards. The accident was reported to police at around 11 p.m and occurred on the 1st block of Thomas Street. Emergency personnel quickly arrived at the scene of the crash. Upon arrival, first responders administered care for minor injuries. The flow of traffic was restored shortly afterwards and while injuries were reported, there appear to be no life-threatening injuries. Police are still searching for the other vehicle involved in the accident. 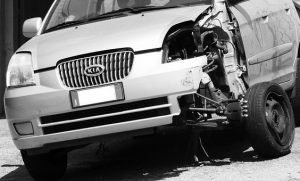 While the injuries reported in this particular accident were minor, some car accidents can cause catastrophic injuries and have devastating consequences. We urge you to remain aware of the potentially dire impacts of driving recklessly. All drivers have a responsibility to the other people around them. Negligent driving can leave people with serious injuries or even cause fatalities. At the Law Offices of Jeffrey S. Glassman, we see the impacts of car accidents daily. As such, we are concerned for ourselves and every member of our community, and we strongly urge drivers to remember to use caution and follow the rules of the road. However, we know that accidents do happen, and we are also committed to helping victims recover their losses and return to their lives.